Ingredients: Cayenne Pepper, Slippery Elm Bark, Papain, Caraway Seed, Catnip & Ginger Root. Gas can be noisy & embarrassing but it's perfectly normal. 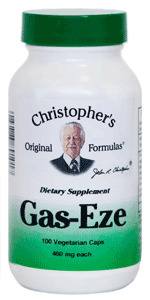 Excessive flatulence on the other hand can cause bloating, discomfort & abdominal pain.